Celebrate The Arrival Of Spring Thanks To This Designer's Collection At Collage! Enjoy the arrival of spring with this new collection of clothes by Payal Khandwala that are available at Collage. Spring is here. How do we know you ask? Haven't you checked out Collage as yet? They have a special collection, Kama SS19 by Payal Khandwala at the store. 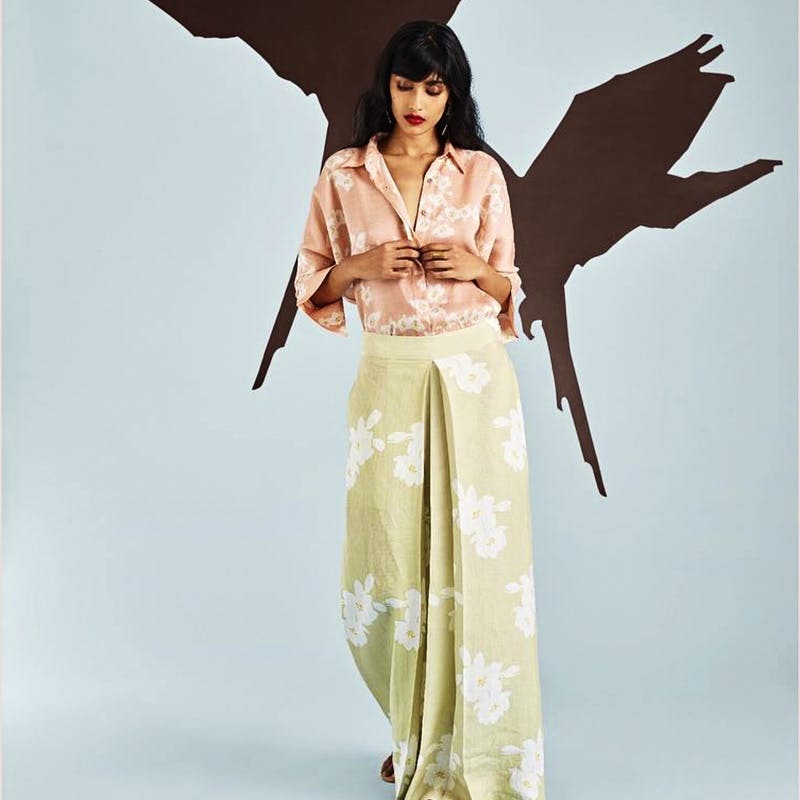 Infused with floral prints against a pastel backdrop from Mumbai, their clothes are fuss-free, breezy, and perfect for namma Chennai. Let your skin breathe in their clothes that are made from natural fabric and the best part about their outfits is their thick colours. Talking about prints, they have jasmine blossoms, parrot motifs, and everything that talks about spring. Didn't we tell you that spring is here already? The green from Lord Kamadeva’s skin and of his parrot, with the red from the bloom of the Ashoka tree and the yellow of a mango blossom, accentuate the subtle shades of ivory and jade from the jasmine flower. Dusty pink with a powder blue from the lotus, complete the colour story. Their handcrafted mulberry silk saris, hand-woven khadi, chanderi, silks, and organzas are teamed with linens and cotton printed with jasmine buds and blossoms. Another Also as part of the collection, find the accessory of the season - the striking Indian parrot that is crafted in brass. Make a style statement with this minimal yet bold accessory this season! Stylized, it makes a minimal yet dramatic statement for a relaxed summer wardrobe.